Traveling during the summer months is most likely on most of your agenda’s. I always enjoy my little get-aways but during the summer months its just a lot more fun and so much easier to pack. My list always begins with which shoes I’m planning to take . . .
Usually one pair of flats . . .
And one pair of comfy heels . . .
A hat to protect from the sun and for those days I just don’t want to bother with my hair. A larger bag to carry, well everything (and for extra shopping). . .
And a smaller one for day trips. Or dressed up a bit. 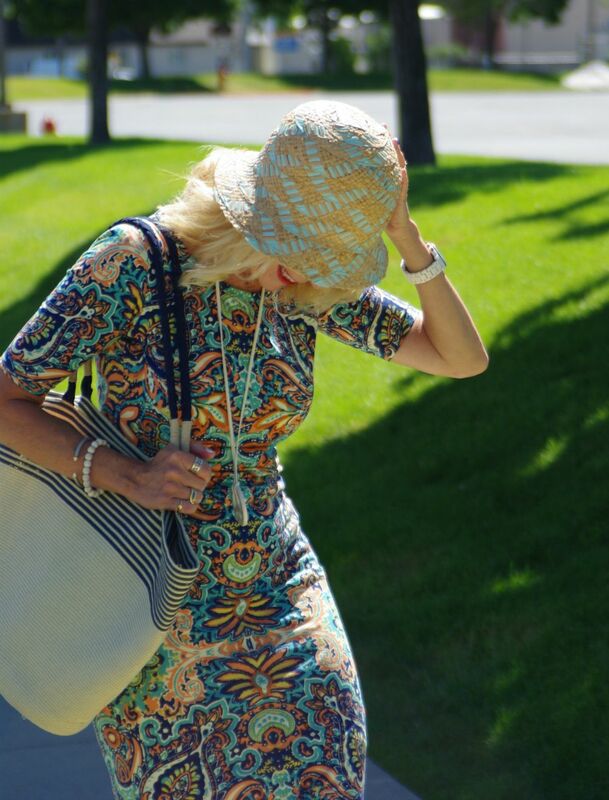 This fun little number from that wonderful company LuLaRoe is the perfect travel dress. I’m quite hooked on their cute skirts and dresses right now, they’re so practical, comfy, and stylish. And you can shop right from your home by visiting Kim’s personal page, HERE. I also thought I would add a photo of all little items I never leave home without. Two of these items I would be in serious trouble without . . .
my trusty eyeglasses (you don’t want me driving without them). Last month Firmoo eye glasses contacted me to see if I would like to try a pair of their amazing glasses. Of course, I would, it’s an item I never leave home without. Talk about impressive. You actually order on line, and can try them on with your computer screen. The turn around was less than two week and I have never owned a pair of eye glasses that are actually weightless and fit so perfectly. The bonus, just look at the case they came in! I was in love with them before I even opened the case. Well, the real bonus actually is with their pricing, which is beyond practical. I’ll be off from blogging for a few days, as I take this dress and glasses to another adventure. You can follow my little getaway on instagram. *Firmoo sent these glasses to me, all reviews are my honest opinion. Linking up with Alice today for her TBT. Oooh! I love this whole outfit!!! Are you wearing it to the meet-up? It is perfect! As you know now, I didn’t take this along for the meet-up, although it would have been a perfect dress to have there. You can also see I’ve taken a well needed blogging and social media break. Thank you so very much for the fabulous weekend last week, you did an amazing job of hosting this meet-up. The dress is beautiful, the look with the hat, I love it. Sandals are cute. 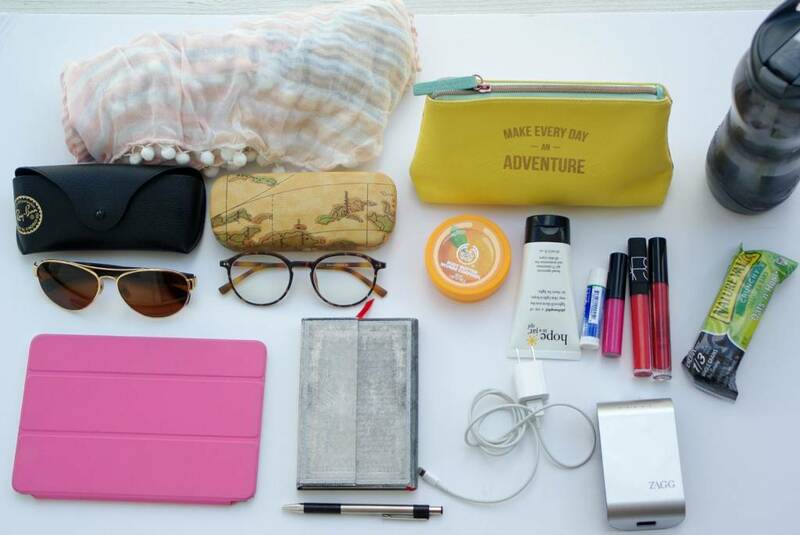 The contents of your bag is an active girl. What a lovely dress that is. And all your travel tips are sound. I haven’t even thought about my packing yet. And I am so busy this weekend and at work next week. I might be in for a late night at the very last minute. PS How on earth do you get such a tight tummy after putting two children into this world? You did a fantastic job of packing for the meet-up, you looked absolutely fabulous every second and even had plenty of room for all your shopping. I’m quite impressed with your last minute purchases, right before you left. As for the tummy, it’s a never ending daily battle and routine, now you even saw me first hand with my daily morning runs. Very pretty dress and great packing method to! Enjoy your trip! Thank you Alice, my packing method does come in handy especially when I leave it to the last minute (most of the time). you are rocking boho chic! love it! love the sunglasses very much!!! What a cute dress! I’ll see you in Vancouver. It’s been a pleasure meeting you, Trina. I just added your fun blog to my list on Bloglovin. It was wonderful meeting you as well, I’m looking forward to seeing that awesome striped button down on you. How is it you make everything so effortlessly chic? Question: what would YOU pack for 6 weeks in Europe? 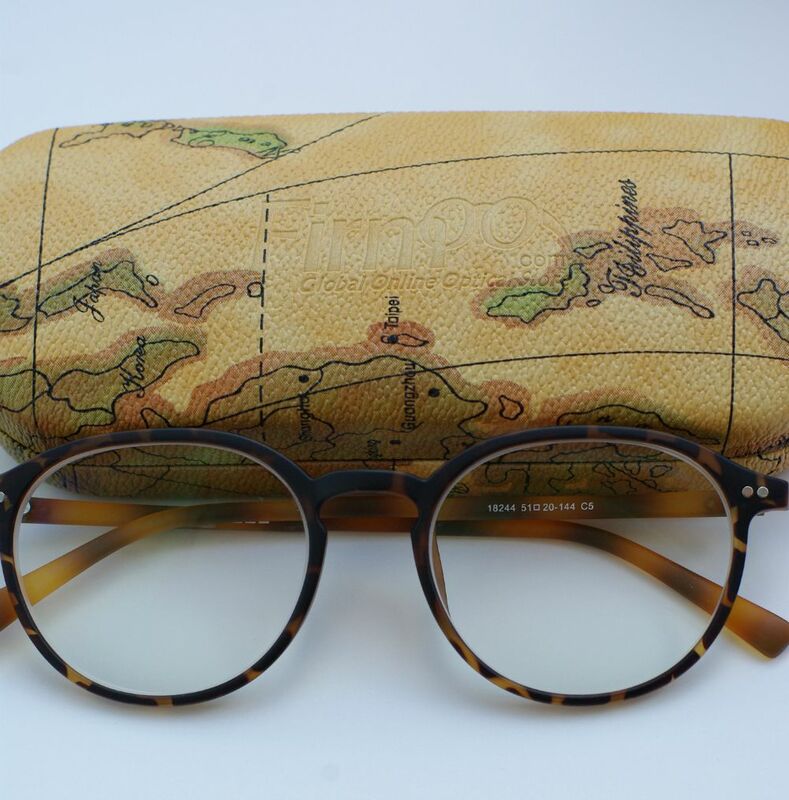 I have also checked out the glasses site, I think a new pair of readers and sunnies are on the cards – just hope they post to Oz. Looking forward to your next post as always. First off, thank you for your nice compliment. Second, I truly apologize for taking so long to respond, I kind of took a much needed blogging and social media break since I have cute Molly (my granddaughter visiting). But to answer your question, when I traveled to Europe last year for 5 weeks, I did so with a carry-on. I packed one pair of black pants (skinny type), a pair of skinny jeans, and a pair of grey pants, then one black skirt, I wore a pair of black type leggings on the plane. So my capsule packing was on the darker side with pants (because they hide the dirt). Then I start deciding what tops to take that will go with all three or four items. Usually 5 tee shirt type shirts, I absolutely love banana republic’s tee shirts because they can be dressed up so easily with a scarf and the loose fit are amazing. (long or short sleeve depending on the time of year your traveling), I throw in 3-4 scarves because they take up very little space and make your outfits very versatile. I usually pack 2 cardigan’s, a black one and a gray that I can mix and match and wear another on the plane. If i’m traveling during colder months I pack light weight merino wool pullovers (2-3) and wear a jacket on the plane, which can double as a blanket. Hope this helps a little. As for shoes, for this capsule I would definitely be packing a few very comfy black shoes. I love my new balance and also Cole-hann just came out with some incredibly adorable shoes that are like walking on clouds that look amazing with skirts and pants. I have found that switching shoes every day back and forth tend to be better for my feet. Sounds like a fun time, can’t wait to hear about your trip. Love the dress and striped bag! Ah-mazing!!! The dress fits you like a glove! 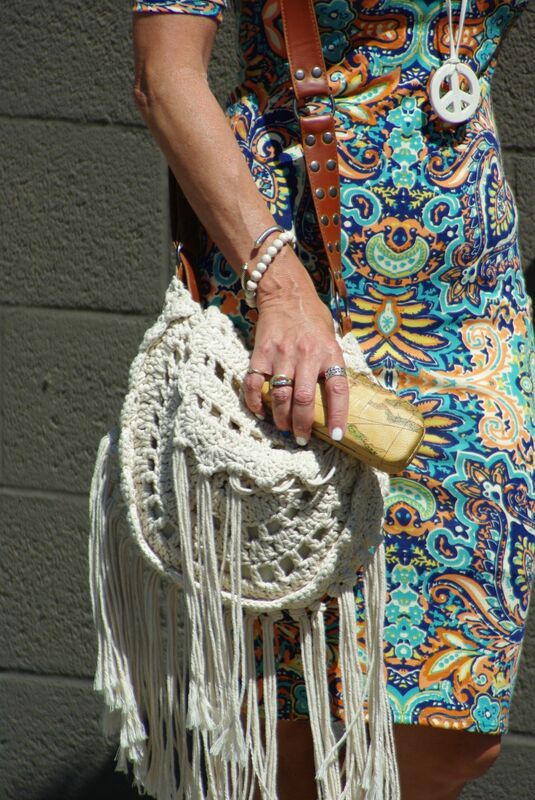 I also like the crocheted bag, and agree: one must take a larger bag when traveling, laws leave space for new items!! Glad you like your new glasses! sounds like a wonderful company! happy travels dear lady! Leaving space for new items is part of the trip, right? 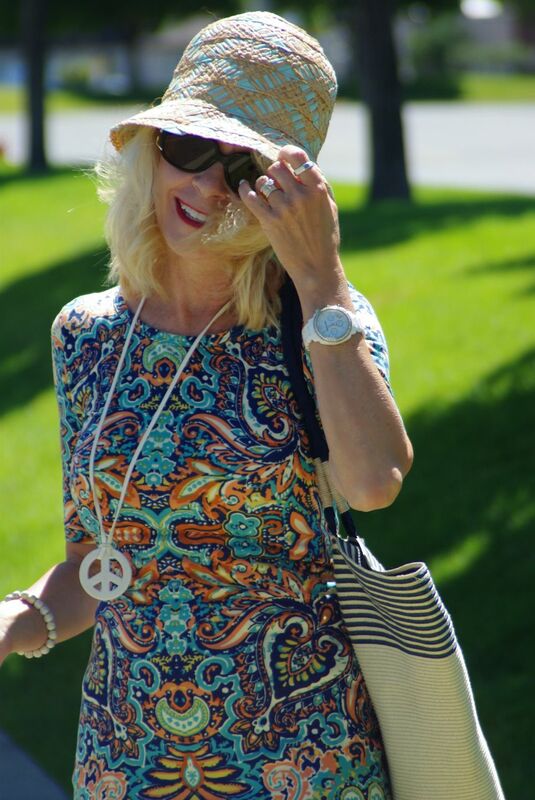 Love your paisley dress , macrame bag and peace sign necklace – very cool look Trina! I look forward to hearing about your trip to the blogger event. Love to see how and what other people pack, thanks for the post. Your entire ensemble is fabulous. I love how your hat tops off your extraordinary dress. And your fringed bag is a showstopper. It always brightens my day to receive such a compliment from you, my beautiful friend.